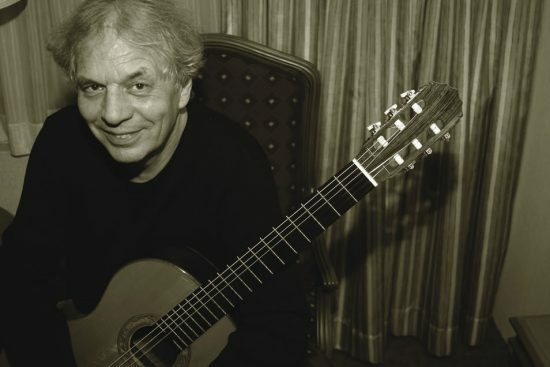 Guitarist and composer Ralph Towner still maintains a childlike fascination with the muse, even after decades in the music industry. Perhaps part of the reason is he’s regularly surrounded by similarly-driven kindred musical spirits. Since 1970, he’s been the principal writer, guitarist and keyboardist for Oregon, a pioneering group that weaves world music, jazz and classical elements together. 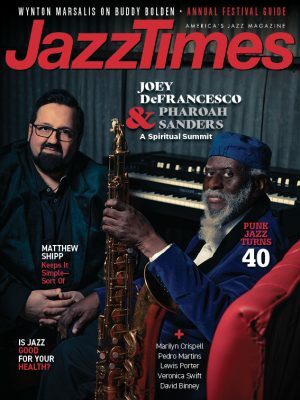 He’s also released more than 20 albums on ECM that feature quartet, trio and duo formations with label-mates such as John Abercrombie, Jack DeJohnette, Gary Peacock, and Eberhard Weber. Whether solo or in collaboration, Towner’s music often finds him pursuing a balance between his compositional and improvisational tendencies. And even when the scale tips to the latter, his approach is rarely anything but eloquent and evocative. The same can be said for Towner in conversation in this excerpt from my book Innerviews: Music Without Borders. In a sense, it’s vocabulary. The colors available to an orchestra are quite obvious with all the different instruments. The classical guitar has a tremendous variety of attacks and sounds built into it. My intention is to make people forget about the instrument when playing music. If you play the instrument well enough, you draw attention away from the literal “Isn’t he a very good guitar player?” thing. You’re trying to transcend that kind of thinking in the audience and lure it into a sort of trip that explores the colors and beauty of the music going on, as well as the story that’s unfolding. And with all these colors that are available, it really is orchestrating-assigning parts to French horns here, trumpets here, violins there. It’s the same with a chordal instrument like the guitar. You’re busy assigning colors, characters, shadings, and identities to different parts as you’re playing. You’re really telling a story, even though it’s in abstract terms, of what’s actually happening. Have typical perceptions of what a guitar is capable of impeded the development of younger players? Some people succumb to that and play the most obvious things on the instrument that sound flashy. For example, speed is a very important color, but it’s just that. It’s also another device. It’s not just about playing fast. Every symphony orchestra player can play as fast as any guitar player because they have to-the parts have been written for hundreds of years requiring them to do so. It might be easy to limit yourself to what is the most superficially attractive. But everyone, whether they are intellectually aware of it or not, has to play the way they have to in order to tell a story and relate to people’s attention spans, as well as their own. It’s an intuitive art when it’s done at its best. Virtually all of your solo output is on the ECM label. Reflect on what it means to have that continuity. It means I can look at almost a life’s work on one label, and see how each album is an evolution, exciting and means something. Making a record should be the most exciting thing you do in your life. It used to be a big deal making a record. Sometimes people make records too soon these days, but that sounds like an old man’s grumbling. I’m glad I waited. I was 30 before I made a record. I had a late start. I didn’t play the guitar until I was 22. I dragged myself to Vienna, where I studied as a classical guitarist with a great professor. I started as a beginner and locked myself in a room for two years. I condensed a whole boyhood and learned a lot in a short time. How do you look back at the making of Together, Oregon’s 1976 collaboration with Elvin Jones? Elvin was signed to Vanguard Records, and so were we. Elvin heard us play and liked it and said he could hear himself in the music. Elvin suggested he do a record with Oregon. It was his idea. So we got together and had to do it in one day. So I thought “We better keep Elvin playing! We’ve got to keep him playing and go all the way non-stop and run him into the ground.” [laughs] I was worried “What if Elvin doesn’t break a sweat? Wouldn’t that be awful?” But as soon as Elvin picked up a drumstick and went “bap” he started gushing and I thought “We’re okay now.” [laughs] It was so much fun and we just had a great time. When it was all over, we went out and got sort of potted. It was really a big jam session. It wasn’t a great recording. It was distorted, but the spirit was there. We had a great time with him.